Paris Space Week, 1 April 2019: Irish company Arralis, global leaders in building technology and products that are the future of global radar & wireless communications, today announced the launch of its new Leonis series GaN-SiC High Power Amplifier (HPA) optimised for satellite downlink communication systems. 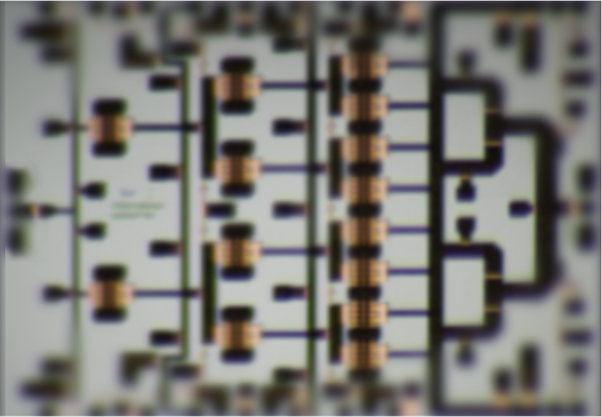 The HPA operates in K-band from 17.5GHz-20GHz and delivers a saturated power in excess of 10W with typical power added efficiency of 25% and large signal gain of 20dB in a compact die size of 3.6×2.9mm. The part is matched to 50Ω with integrated DC blocking capacitors on RF ports and incorporates an output power detector to assist with system integration. Nominal drain bias is 25V. Arralis will be showcasing this new device at Paris Space Week 2-3 April, 2019. Senior MMIC Design Engineer, Thomas Young will be available at Booth D30 for comments and interviews. Arralis is a rapidly scaling technology company, providing world leading expertise in RF, micro and millimetre-wave technology. With a head office in Limerick, Ireland, Arralis also has subsidiaries in Belfast, Harwell and Manchester, UK. Arralis excels in Monolithic Microwave Integrated Circuits (MMICs), packaged component modules, proprietary antenna technology and integrated radar and communications front-end platforms. Its core focus is in E, K/Ka and W band where it is the world leader at the highly desirable attenuation window of 94GHz, which allows the development of very high-resolution radar; applications of which include autonomous automotive, helicopter landing, satcomms and massive data rate wireless communications. Arralis products, which are the ultimate in precision and innovation, are used in both global and space environments where accuracy and reliability are critical. Arralis works with some of the world’s largest aerospace, automotive, defence and communications companies.